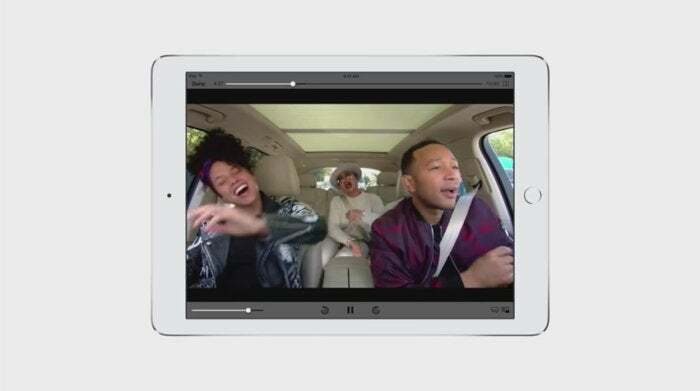 This spring, Apple plans to release its first two original series, Planet of the Apps and full-length episodes of the popular Carpool Karaoke segment hosted by James Corden. It’s not exactly a bold move: Netflix, Amazon, and reportedly even Facebook are making original TV. But unlike Netflix, Amazon, and Facebook, Apple isn’t a content company. It’s a hardware one. But that’s about to change—at least if Apple has anything to say about it. Services have been a consistent bright spot in Apple’s quarterly earnings reports, and Apple Music is lumped in with that category. The $10/month streaming music service has racked up 20 million paying subscribers in the year and a half since it launched. But Apple can’t rely on music exclusives, which have limited windows, to differentiate itself. So the company is turning to original video content. The winner of the competition will be featured in the App Store and get funding from Silicon Valley venture capital firm Lightspeed Ventures. But…the cheesy name. The concept. The action, which consists of “escalator pitches” and app developers who promise to “revolutionize social media.” It’s…not thrilling. But perhaps the Shark Tank-meets-The Voice-meets-Silicon Valley concept will be a hit with viewers, who will be able to play with the apps as soon as the show airs. Episodes of the show will be released each week, not in a single Netflix-style batch. Eddy Cue, Apple’s senior VP of software and services, dispelled the rumors that Apple wants to compete with cable companies by offering its own skinny bundle of channels. But that’s not the case. At least not yet.